Well, my boats been in the shop for a week now. 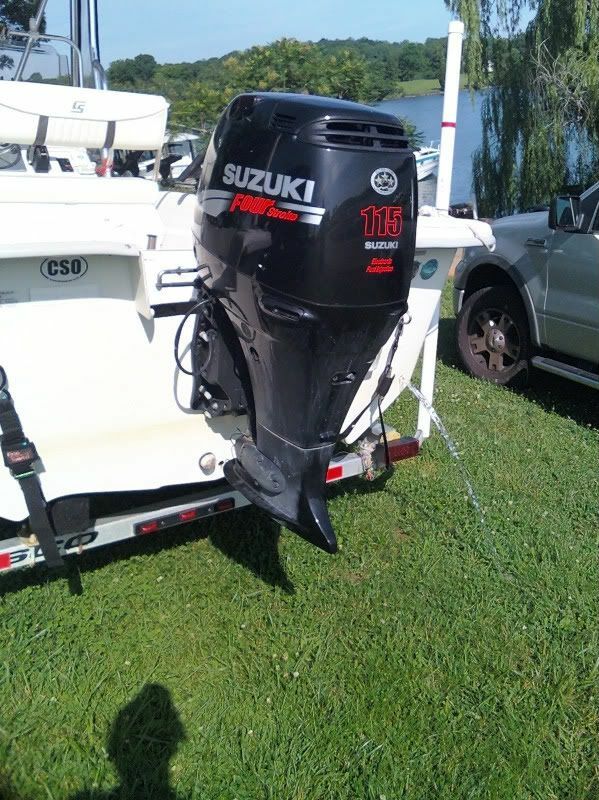 I stopped by Monday to check on the boat and quickly realized that not taking the side plugs out of my boat was a bad decision when they have it parked at an angle. 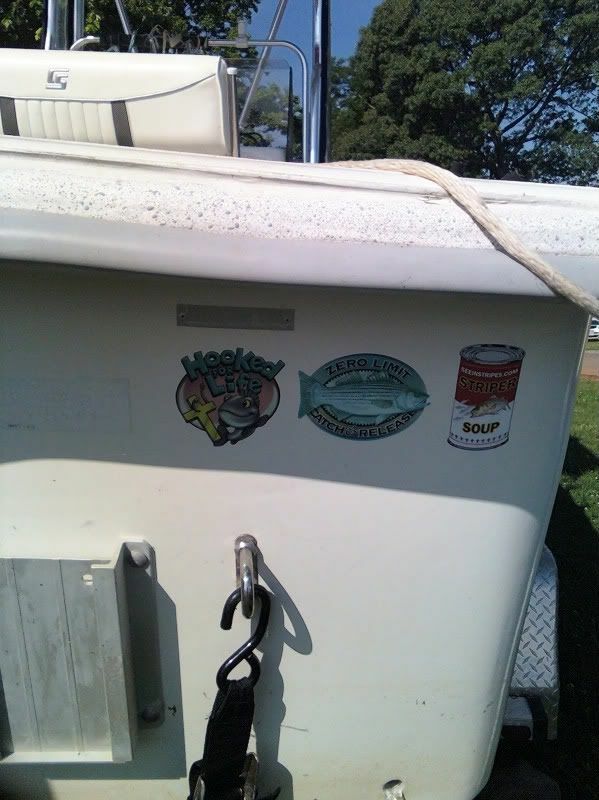 As I watched gallons upon gallons pour out of the boat, I remembered I hadn't yet added my Soup sticker to the back of the boat (it hasn't been out of the water in awhile). Luckily I had the sticker in the truck and so I went ahead and put it on. It's not the first time I've sunk a boat on the trailer! The boat does look MUCH better! Can-Do man. First one for June!